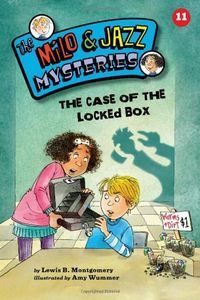 The Case of the Locked Box by Lewis B. Montgomery: Synopsis and Online Purchase Options. Synopsis (from the publisher): Someone stole 100 dollars from a locked cashbox … and almost everyone in school thinks the culprit is Jazz! When Jazz is put on trial in student court, it's up to Milo to prove her not guilty!